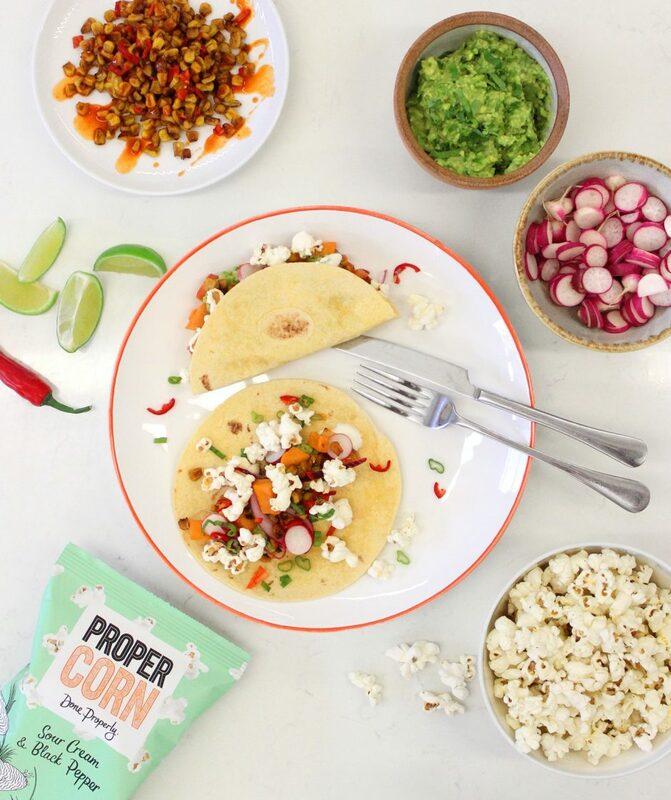 Propercorn's Three Corn Taco Recipe | To Work Or PlayTo Work Or Play | A blog of two halves: Lifestyle guidance for city-savvy socialites, and insight, inspiration and opinion for ad-curious folk. 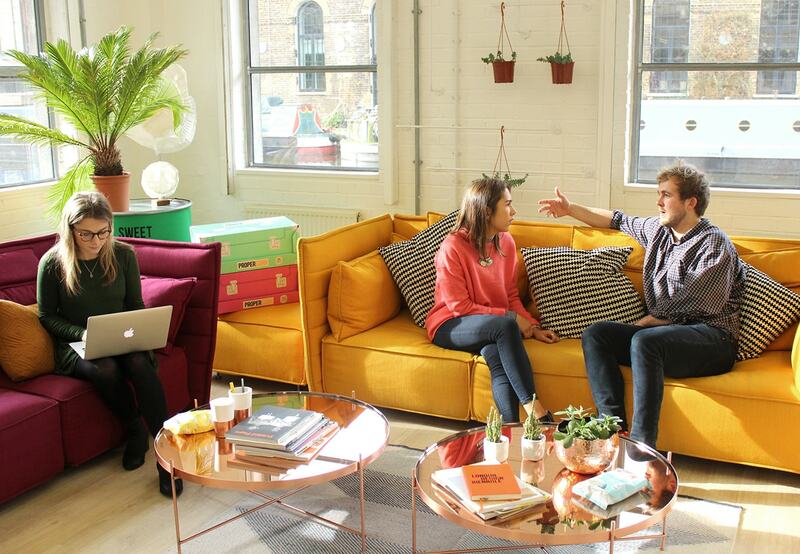 How can PROPERCORN be used to create delicious summertime meals? 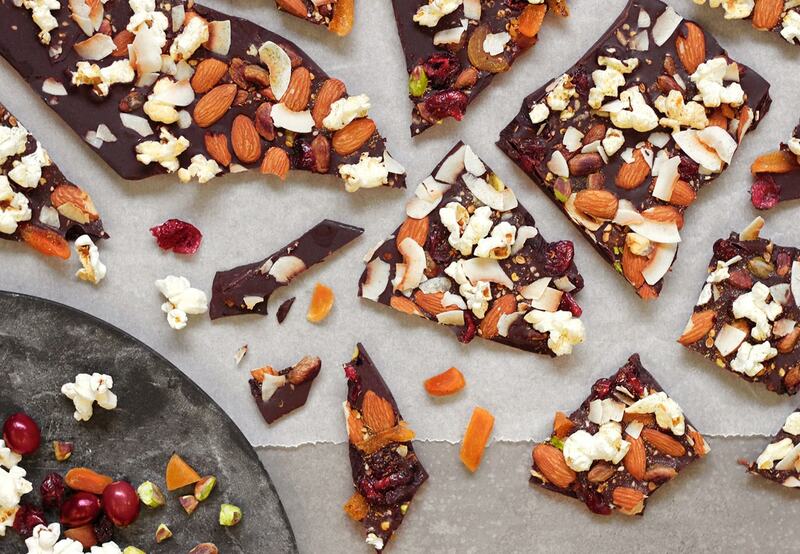 Well you will find out here as we hand over to the PROPERCORN team for some inventive popcorn recipes. 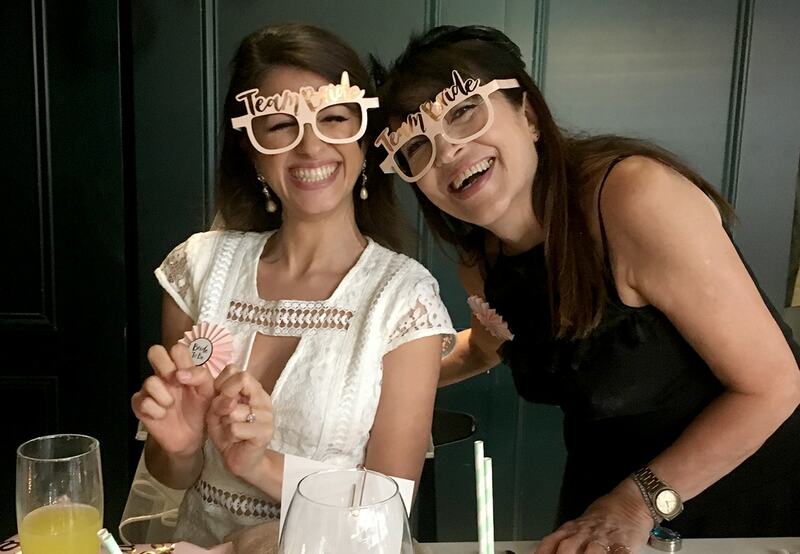 Ever since Cassandra Stavrou popped the first batch of PROPERCORN, we’ve been passionately creating snacks without the compromise. 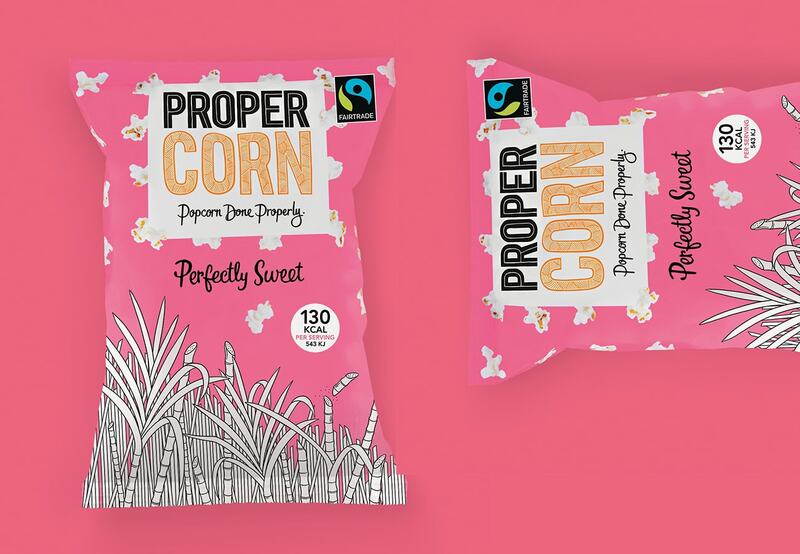 All our flavours begin in the PROPERCORN kitchen and are made using the best quality, natural ingredients. Every pack has delicious depth of flavour, from the first hit to the last kernel. When it comes to mealtimes, we take the same approach. Breakfast, lunch or dinner we want something fresh, natural but deliciously satisfying. Just because it’s lighter, it shouldn’t taste of less. 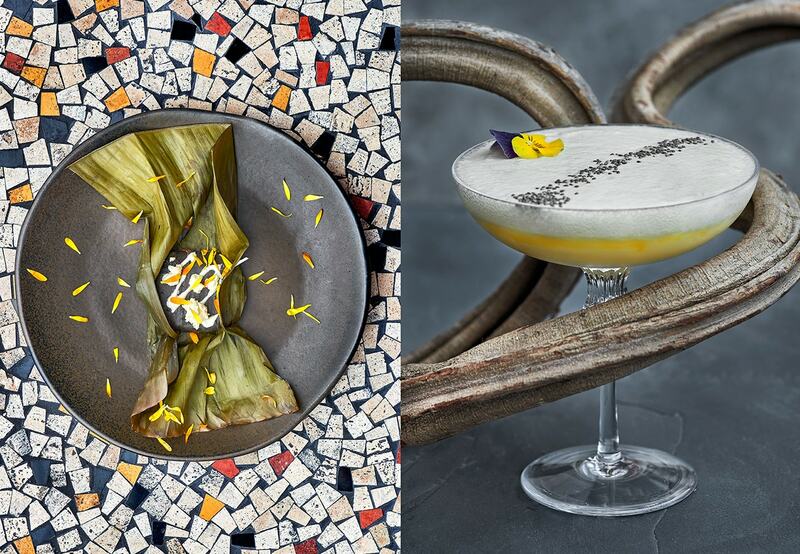 In this series we will be bringing some bright, summery recipes created by Ed, the PROPERCORN chef, which showcase our award-winning popcorn flavours. Croutons, crumbs and even ice cream; our distinctively-crunchy, butterfly corn can add an amazing hit of texture and flavour to some of your favourite recipes/dishes. So let’s start with everyone’s Mexican fav… Taco’s. 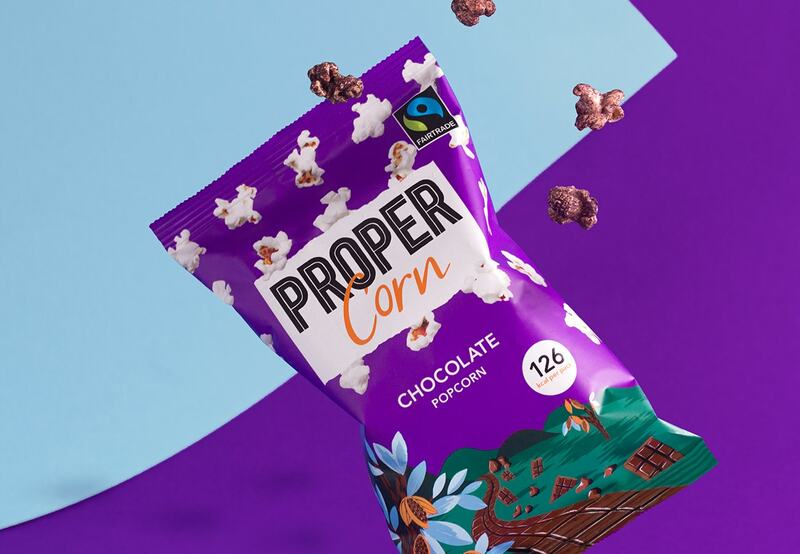 Unsurprisingly, we here at PROPERCORN love corn, so we set ourselves the challenge of getting it into a recipe three times. Corn tortillas, with caramelised sweet corn and delicious PROPERCORN Sour Cream and Black Pepper popcorn, all topped with salsa and guacamole. A seriously colourful recipe for the sunshine. Make sure it’s Done Properly: Try with a cold glass of gingery fizz- ginger beer, a squeeze of lime and fresh mint. 1) Pre-heat the oven to 200C. Mix the pickled onion ingredients in a small bowl and set aside. 2) Place the sweet potato chunks on a baking tray, drizzle with olive oil and a good pinch of salt. Pop in the oven for 20-25 minutes or until slightly charred on the edges. 3) Cut the kernels off the corn on the cobs. In a large frying pan, melt the butter on a high heat add the corn, paprika and salt and pepper. Cook for 5-10 minutes, stirring regularly, until the kernels are caramelised. Once cooked, turn off the heat and set aside to keep warm. 4) To make the salsa and guacamole, mix the salsa ingredients in a small bowl with a squeeze of lime and a handful of chopped coriander. 5) Mash the avocados then add the red onion and red chili. Squeeze in the lime juice and set aside. 6) A few minutes before the potatoes are ready, add a dash of oil and salt to the peelings, spread evenly on a baking tray and pop in the oven to crisp up. Cover your tortillas in foil and add to the bottom of the oven to warm up. 7) Tortillas are best filled by the person eating them, so to serve, place everything in bowls and tuck in.